Welcome! 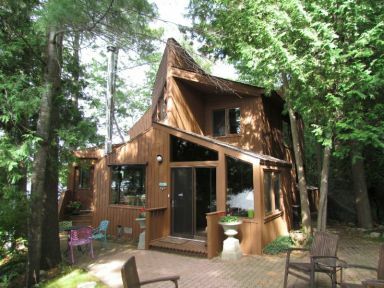 If you own a vacation home or cottage in Muskoka and are thinking about renting it, you have come to the right place! Vacation Time Real Estate Inc. is Muskoka's Premier Real Estate Brokerage that focuses on waterfront vacation rentals and real estate property sales. Iincorporated in 1991, we have represented hundreds of Muskoka area waterfront cottage owners. We live in Muskoka, we work in Muskoka and we know Muskoka. We have the expertise, professionalism and knowledge to assist you with the rental of your vacation property or the purchase or sale of a Muskoka property. We are a service-driven company with a commitment to provide our clients with effective, trouble-free and responsible rentals of their vacation home. We strive to keep your best interests in mind by minimizing the number of renters while at the same time maximizing your return. We attempt to keep the rental risk to a minimum by limiting the number of people renting the cottage to the number of "heads in beds", renting to families and qualifying the prospective renters via rental applications. You always have the final say before your cottage is rented - you decide whether to accept the rental and we are available to help you with this decision. We are facilitate the Rental Agreement between you and the renter, the collection of rent and security deposit, key exchange and disbursement of rental payment to you. Because we are a licensed Real Estate Brokerage, all monies are held on your behalf in our company's Real Estate Trust Account. Not only is Vacation Time Real Estate a trusted Muskoka cottage rental company, we are a well-established Muskoka real estate brokerage that specializes in Muskoka waterfront properties. 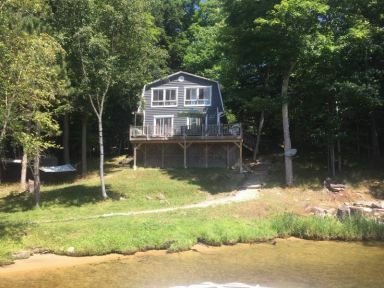 When you hire our real estate firm to manage your Muskoka cottage rental, we endeavor to make the rental process as smooth as possible by handling every aspect of the job efficiently and professionally. 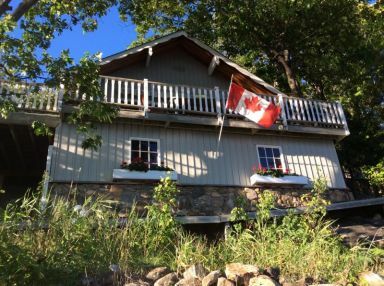 We take of all the renter details for a successful rental including marketing your property on social media and have agreements in place with other web sites, including, CanadaStays, Flip Key/Trip Advisor, Online Cottage Rentals and HomandAway, some of the largest worldwide private cottage rental sites. We also add that "personal touch" by directly corresponding with potential renters, We Answer The Phone! There is no automated answering service, only voice mail when the offic is closed. Over the last decade we have listed for rent over 1000 Muskoka and area vacation properties and successfully arranged thousands of cottage rentals. This has resulted in a loyal and dedicated client and customer base who trust our judgement, honesty and integrity. You can place your faith in us that we always strive to serve our clients and customers to the very best of our ability. We want your business and are willing to work for it. Please visit our questions/answers section where you will find answers to some frequently asked questions regarding Muskoka vacations. Our free owner information package is also available, on request. This package provides information on our listing agreement, fees, rental contract and several brochures you may find useful (e.g. 'Preparing to Rent your Vacation Home'). Email your request to rentals@vacationtimemuskoka.com, or, contact us at the address or phone/fax numbers below.